Panasonic’s midrange HC-V770 Flash Memory WiFi Camcorder replaces the extremely popular HC-V750K series. It records to SD/SDHC/SDXC memory cards in Full HD video. (This camcorder features High-density, ultra-smooth video at 1080/60p Recording (Full-HD 1920 x 1080, 60 Progressive frames Recording). It also includes a fast F1.8-F3.6 lens that was created for the HC-V770 to help in low light situations. The wide angle 29.5mm lens can fit more people and more of the background into the frame than a conventional lens. The back illuminated imaging sensor is a large 1/2.33″ High Sensitivity MOS Sensor which can provide up to 1,920 x 1,080 of HD resolution, and improve video in low light. Takes 24.0 megapixel still pictures. Included are advanced features such as the new Hybrid optical/digital image stabilization with HYBRID O.I.S. which uses five-axis correction to suppress blurring, 20x optical zoom (Intelligent Zoom function can go up to 50x), accessory shoe, and an external microphone jack. At full HD resolution the camcorder records to MPEG-4 H.264 at a higher 50mbps bit rate. All other video is recorded with AVCHD. At maximum quality , you can record over 2 hours and 40 minutes of video using a 32GB memory card. Panasonic HC-V770 Features: The Panasonic HC-V770 in addition to being full automatic, can also allow you to manually change settings with the Multi Manual Dial. For best quality video, this camcorder has an HDMI Mini Connector (output) to hook up to an HDTV. An accessory shoe allows you to add an external light or microphone. Built-in Video Light and Flash. Features a 3.0″ LCD with (460,800 pixels). 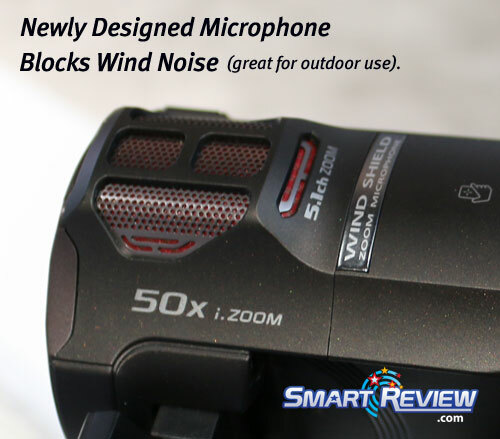 A New Microphone is shielded from wind noise (great for outdoor shooting). It is a 5.1ch Surround, Zoom, Focus Stereo Microphone. Sound is recorded in Dolby Digital 2 channel, or Dolby Digital 5.1. Includes an External Microphone Jack. Card slot can take SDHC and SDXC cards. Wind Noise Canceller detects and reduces wind noise. Crystal Engine PRO+ processor. Built-in WiFi. HC-V770 Dimensions: 2.6″ x 2.9″ x 5.5″ (12.45 ounces). Camcorder HD Recording Modes: 1080p @ 60fps, 120fps (slow motion) 50Mbps recording. Smart-Review Commentary: The new HC-V770 is the successor to last year’s highly rated HC-750V. The HC-V770 gets some new features , including a wireless twin camera, which allows picture in picture using the camera from your tablet or smart phone. 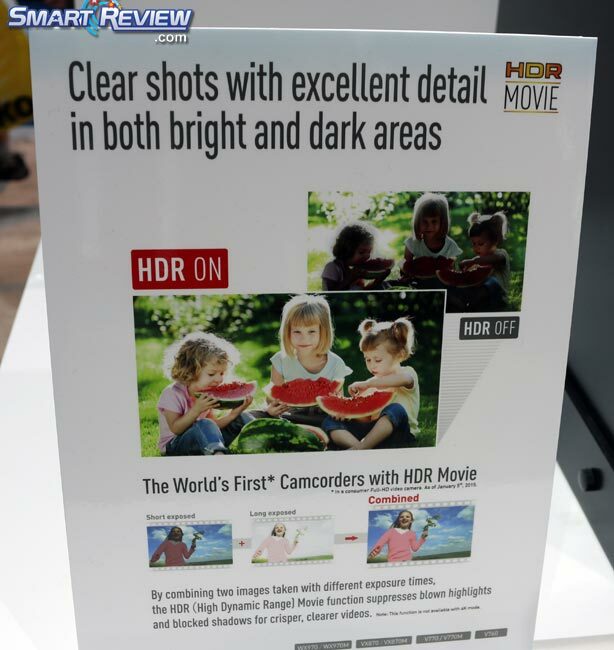 You also get a useful HDR (High Dynamic Range) feature to help in challenging lighting situations. As with last year’s model, this model has a large 1/2.33″ high sensitivity imaging sensor and a fast f1.8 lens perform better in low light situations. 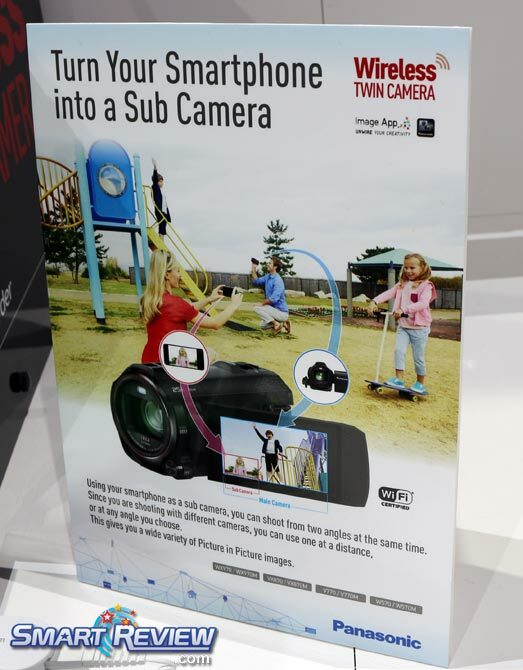 Its 5-Axis HYBRID O.I.S.+ optical image stabilization will keep your video from blurring, even in low light. Built-in WIFI (802.11b/g/n) and NFC, allows you to wirelessly transmit your video from your camcorder to the internet. You can also control your camcorder from your smartphone, tablet, or laptop. 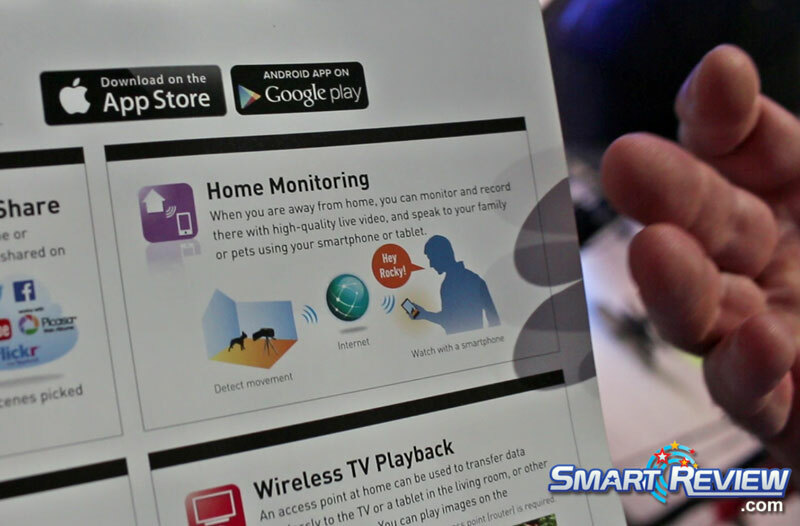 New WiFi features include Home Monitoring. The 60 frames/second recording mode will give you smoother and more lifelike HD video, especially for fast moving action like sports. A rarity on inexpensive camcorders is an external microphone jack and a headphone jack, which will provide you with many options to get better audio to go with the exceptional video of this camcorder. The 3.0-inch LCD screen (468,000 dots) makes it easier to compose your video. 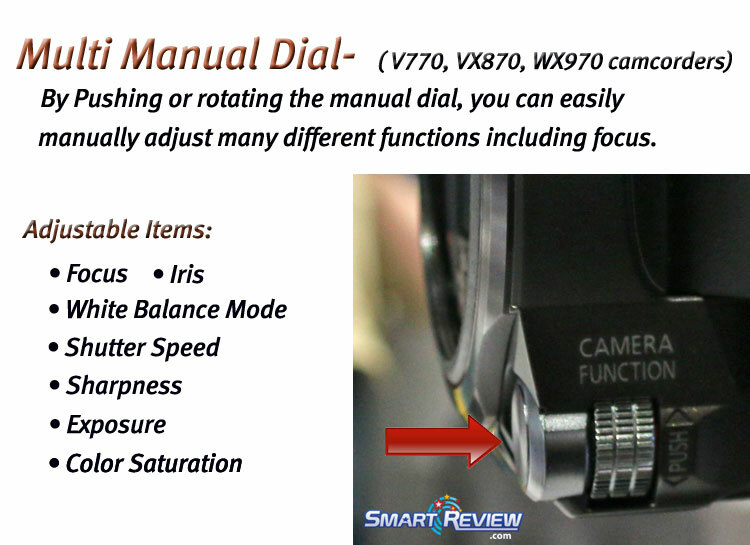 This model even has a Multi Manual Dial (to adjust focus, white balance, iris, etc. ), usually only seen on higher priced camcorders. Panasonic has redesigned the 5.1 Channel Surround Sound Microphone, so that it reduces or eliminates wind noise. 120fps slow motion mode in full HD. 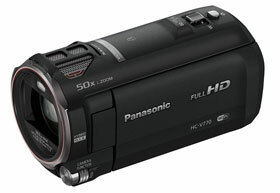 As with last year’s model, this is an excellent low priced and feature packed HD camcorder. We previewed this model at CES. The Panasonic V770 is a Smart-Review top pick and great value for 2019.